This is a Brand new dual Ninja swords with back carrying scabbard, constructed from 440 stainless steel. The blades come unsharpened. The guard of the sword is solid steel in a simple oval shape. The handle of the sword is wood wrapped in synthetic cord with steel fittings at each end. 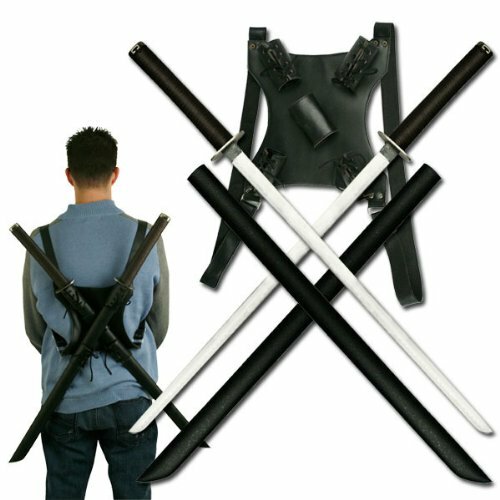 Comes with black leather dual sword back scabbard that features adjustable straps.